We all know that fruits develop from blooms on our plants, and the same is, of course, true of watermelons. Watermelons grow many more blossoms than they need to produce fruit. Continue with us to learn when blossom drop is serious, when it is normal, and how to determine between the two so we can get your watermelons to grow into big, juicy fruit. 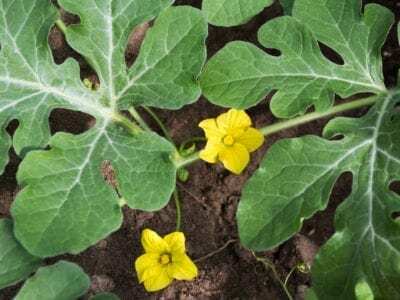 Why are Watermelons Losing Flowers? Flowers falling off watermelon plants during the first stages of blooms are usually male flowers, not the female blossoms that produce the melons. These first blossoms are borne to pollinate the upcoming female blooms, usually in the following 10 to 14 days. So, while they will drop, watermelons losing flowers in the beginning is normal. We want the female flowers to remain on the vine for pollination and to eventually become melons. To identify female blooms, look for shorter stems and a swollen area that will be under the flower that possibly looks like a tiny watermelon. If your female watermelon blossoms are dropping, it is likely due to poor pollination. On most varieties, each vine will support (carry) two to three melons, so you may have to remove blooms. If you opt to grow just one or two fruits on each vine, they’ll get all the plant’s energy to be bigger and sweeter. Pollinate the female flowers. Do this by taking a male flower, remove the flower petals and use the stamen from it to make contact with the pistil on the inside of the female flower. Brush and shake the pollen to make contact with the pistil on the female. You may also use a small paintbrush to hand pollinate the melon plants. Add honeybee hives or pollinator plants near your growing area. Bees usually pollinate early in the morning. In cool or damp conditions, they don’t travel as far from the hive as on sunny, warm days. 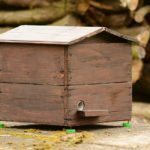 Locate hives as close as possible to the garden and include a number of flowering plants in and around the garden too. Bumblebees may pollinate for you as well. Fertilize the plant as buds appear. This makes the flowers a little stronger and may encourage them to hold onto the vine for an extra day or so, while waiting for pollination. Vigorous vines produce the best flowers. Use only high-quality transplants to get your watermelon plants started. If possible, grow a disease-resistant variety.